KRY-45116 Omni-Pak® MasterBlend™ EZ Touch® Refillable Cans, DV16 - 16 ounce - Sold by the Case of 12. 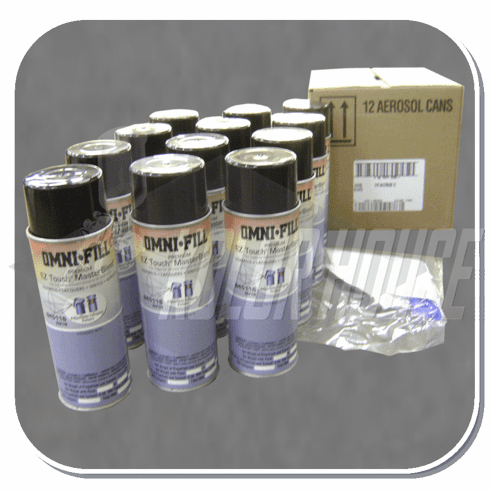 Home | Aerosol Filling | KRY-45116 Omni-Pak® MasterBlend™ EZ Touch® Refillable Cans, DV16 - 16 ounce - Sold by the Case of 12. Omni-Pak® MasterBlend™ EZ Touch® Refillable Cans, DV16 - 16 ounce - Sold by the Case of 12. PLEASE NOTE: To use this refillable can with your paint color of choice you need to have access to an Omni-Pak Filling Machine. Either you have a machine or you have a supplier of paint who can fill your cans.